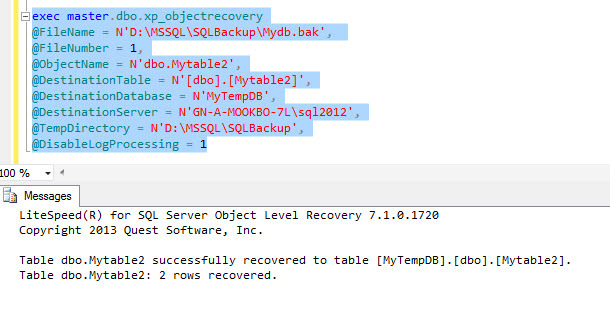 How about a UI that lets you restore data pages in SQL Server? 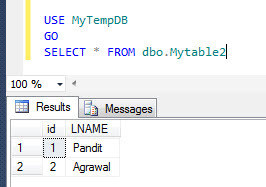 Well that’s exactly what we have in SQL Server 2012. 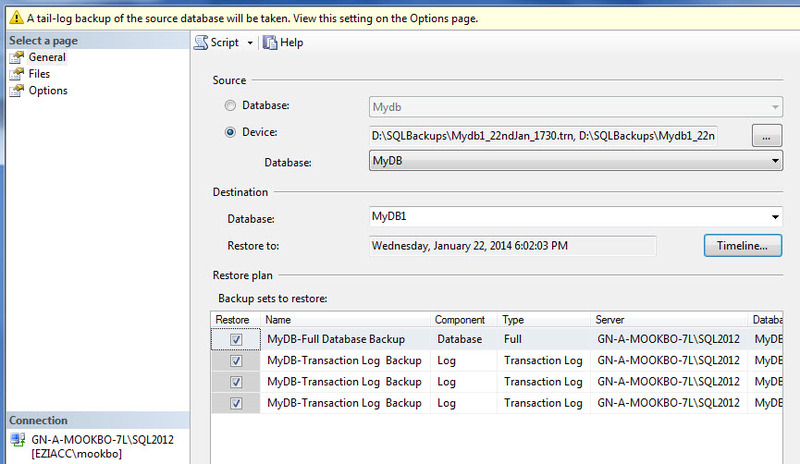 The UI allows you to select the pages from the backup to restore rather than restoring the entire database. Step 1: Step 2: Once you click on Check database pages you will have list of pages that are corrupt. Click on Add. 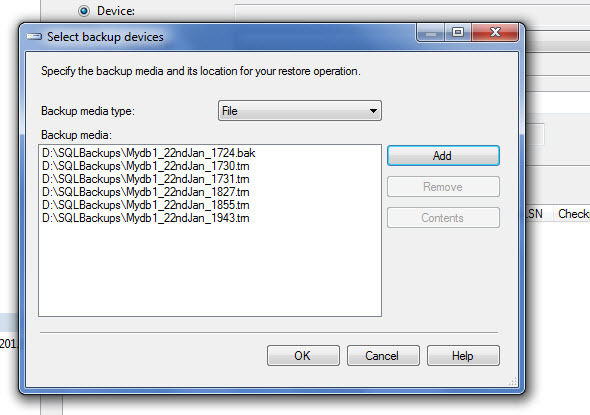 Choose the correct backup set and click on OK. 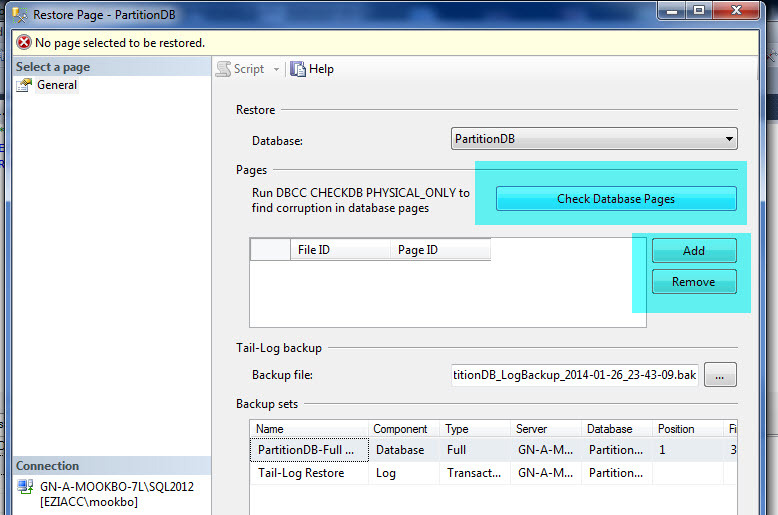 The corrupt data page\s will be restored. 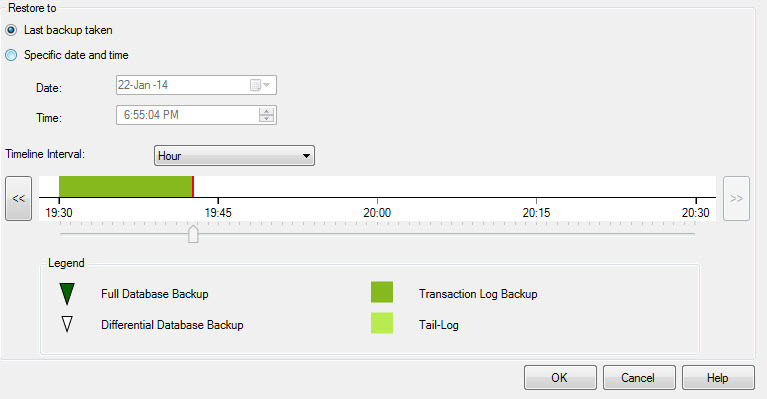 How about a nice GUI that lets you select the time to which you want to restore all your available backups in sequence in one go. A TIMELINE of restoration points. 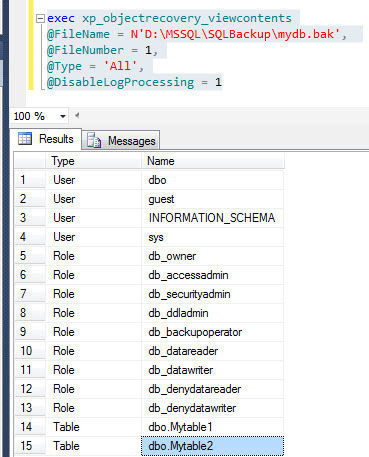 That would be fantastic and that is what SQL server 2012 has introduced. Point in time recovery via the TIMELINE feature. Let us understand this feature with an example. 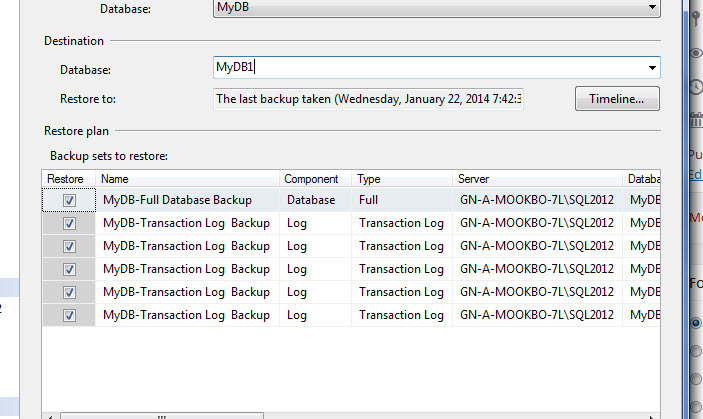 I have created a database called MyDB which I will restore to a point in time. I have kept the DB in full recovery mode. The following backups have been taken. 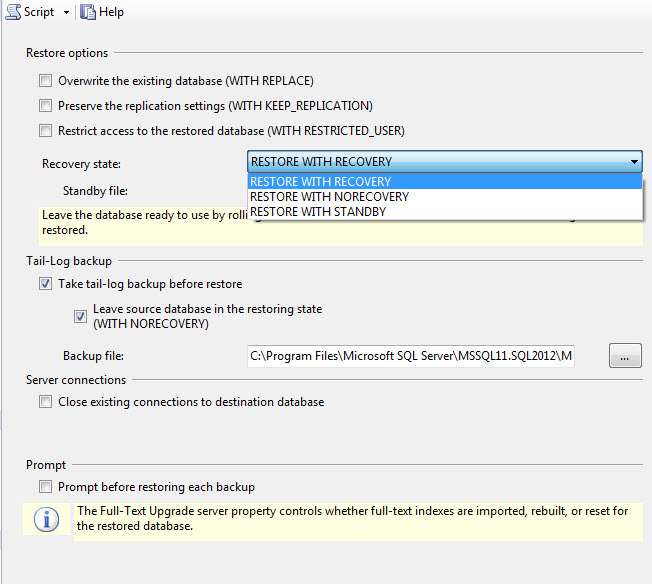 Now lets recover this database to a point in time from the available backup via TIMELINE option. Step 6: Select the option -> Specific date and time. Once you do that you will be able to move the scroll bar to any time highlighted in green. In tis case i have moved it to 6:02:03 PM. 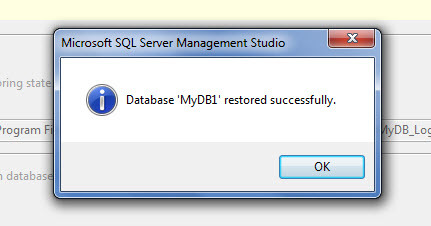 This is the time i would like to have my DB restored to. 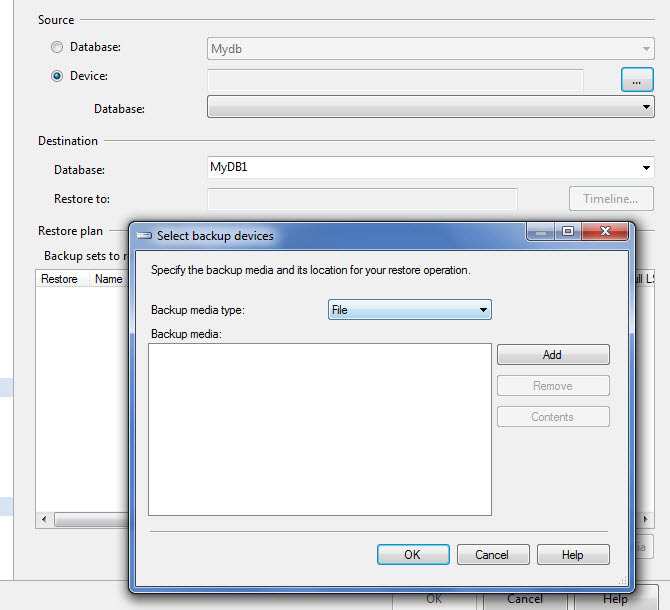 Click on OK.
Once you click on OK, you will find the below screen with the required backup only. 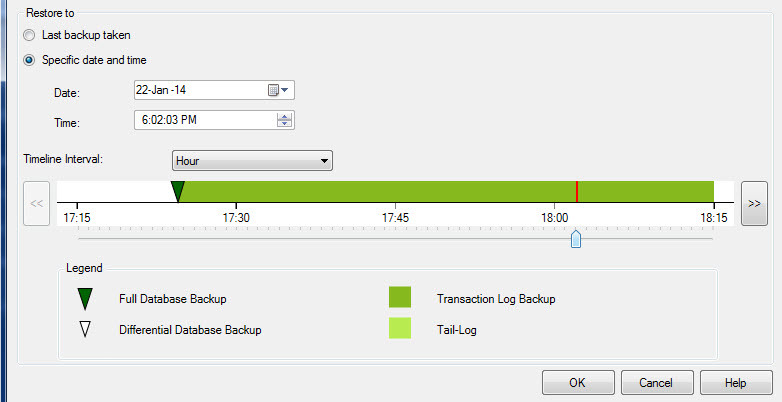 Also observe that a tail log backup will also be taken.